Like a storm system that takes shape offshore and gains momentum as it moves toward one’s home, the nationwide opioid crisis has made landfall in Texas and is predicted to take a terrible toll in lives lost before it’s over. While the worst of the opioid epidemic stories have originated beyond Texas’ borders in states like West Virginia, the perils of a nation awash in these highly addictive and potentially deadly substances should have our leaders in Austin and Washington on alert for preventive measures that can protect our citizens. To get a sense of what’s headed our way, it’s instructive to look for patterns in the deadly encounters with the drugs that led to 115 deaths per day across the country in 2016 alone. The two most urgent situations are those in which patients, like the 70,000 Medicare beneficiaries across the country who received extreme amounts of opioids in 2016, overdose on prescribed opioids; and when first responders come into contact with these dangerous substances on the job. Both situations have led to unnecessary outcomes, ranging from addiction and hospitalization to untimely death. Sadly, many of those outcomes could have been reversed with the timely administration of a proven treatment known as naloxone. Naloxone is known as an “opioid antagonist” that works by attaching to the receptors within the brain targeted by opioids, blocking the opioids’ impact. The FDA approved its use as a life-saving injection in 1971 and it has been used successfully in reversing countless overdoses since then. Earlier this decade, a nasal spray version was created that increased convenience and availability for treating patients in mortal danger. Texas has been less prone to opioid-related deaths than other states over the past few years, experience that is credited largely to state laws exerting tighter control over the dispensation of so-called “Schedule II” drugs. However, the over-prescription of those drugs under federal programs like Medicaid and Medicare remains a serious cause for concern. 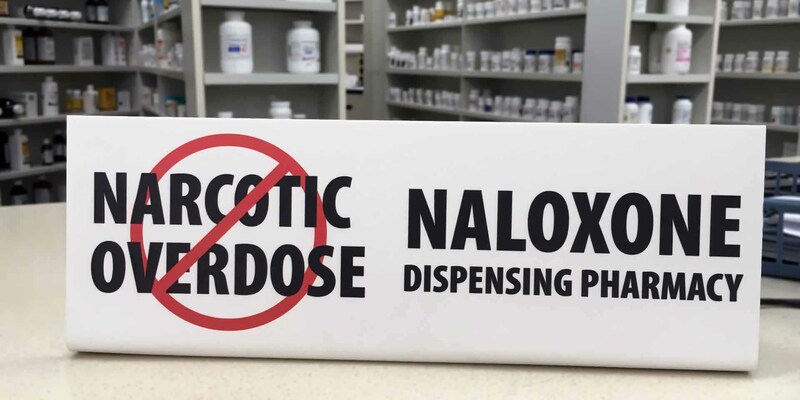 No less an authority than the national Centers for Disease Control has recommended naloxone be co-prescribed with high-potency opioids so it is readily available in the event of an overdose. This simple proactive step, funded from the same source as the opioids themselves, would go a long way to saving the lives of people whose battles with chronic pain have made opioids necessary in the first place. Another step involves equipping police offers with naloxone so they can help reverse opioid overdose victims they encounter. While EMS and firefighters make haste to reach people in danger, police officers typically beat them there. As the first of first responders on the scene, police often find themselves leveraging their basic medical skills like CPR or stopping blood loss to stabilize situations until ambulances arrive. When these situations involve opioid overdoses, those basic skills cannot do much to reverse the downward spiral. Even worse, those situations sometimes involve officers making accidental contact with one of the most powerfully deadly opioids, fentanyl, and suffering their own symptoms. A simple naloxone inhaler in their squad car could literally mean the difference between life and death for the victim and even the officer. Fentanyl, highly useful in managing symptoms for patients in severe pain caused by diseases like cancer, is considered to be 100 times more potent than morphine and deadly if encountered by people who are not already being treated with milder opioids for pain. The U.S. Drug Enforcement Agency (DEA) has identified fentanyl as a grave threat to law enforcement, and the Centers for Disease Control (CDC) considers the drug an incapacitating agent. Just last summer, a police officer merely brushed an unidentified white powder off his uniform after a traffic stop and needed a dose of naloxone to save his life. While that incident happened in Ohio, similar risks posed to Texas first responders are too severe to ignore. Episodes like that and an annual national death toll in the tens of thousands are the distant thunder of a storm bearing down on Texas. Before more lives are lost, families are destroyed and municipal budgets are crushed by the associated expenses, lawmakers should take decisive action in Washington and Austin. With some $6 billion in federal funds earmarked for the war on opioid addiction, it’s vital to ensure a portion of those dollars are dedicated to placing this proven asset in the hands of high-dosage patients and law enforcement. The potential for damage and loss of life is too massive to ignore.